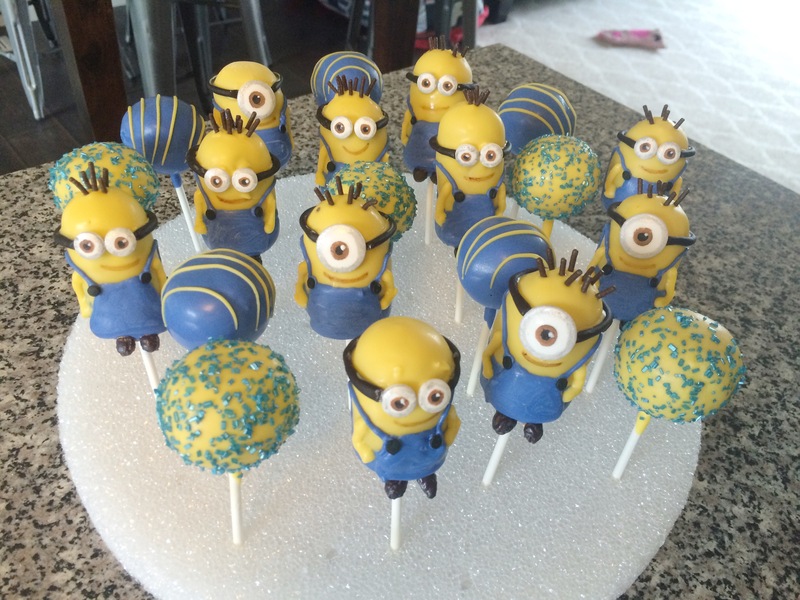 I am surprised I have not been asked to make Minion cake pops before, seeing as how popular these little guys are. They are pretty cute! I am even somewhat embarrassed to say I have not seen any of the Despicable me movies or the new Minion movie. I am sure I will someday, and then I will understand. 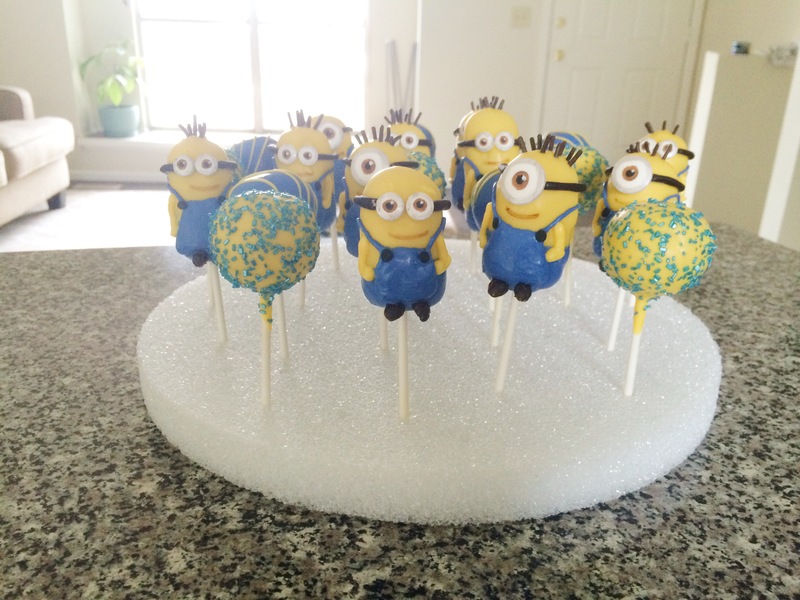 These might be my favorite cake pops I have made to date, and that is saying a lot because I have liked most of them. 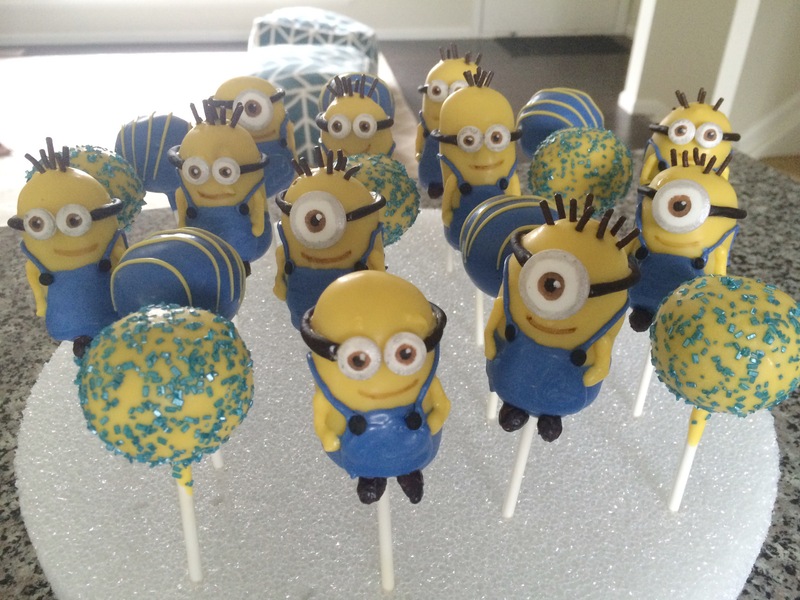 They looked so much like the characters and I love cake pops with lots of details, and man did these have details. I followed Bakerella’s directions for most of the cake pop, but made a few tweaks. The main difference was the goggle strap. I used black molding chocolate instead of black licorice. Not everyone likes, well no one really likes, black licorice so I figured this would be a better choice and it did not require me to buy anything else. Awwww these are so cute! 😄and yes you should watch the movie! It is so funny!